It’s hot out. And like any sane person, we’ll go to almost any lengths to keep from getting hotter ourselves. 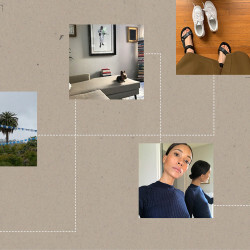 Like wearing extremely breezy dresses (too breezy for subway tunnel blasts, as we’ve discovered) and choosing air-conditioned restaurants over sun-blasted patios. Another thing: avoiding hot coffee, our usual morning mainstay, at all costs. But nothing (nothing!) 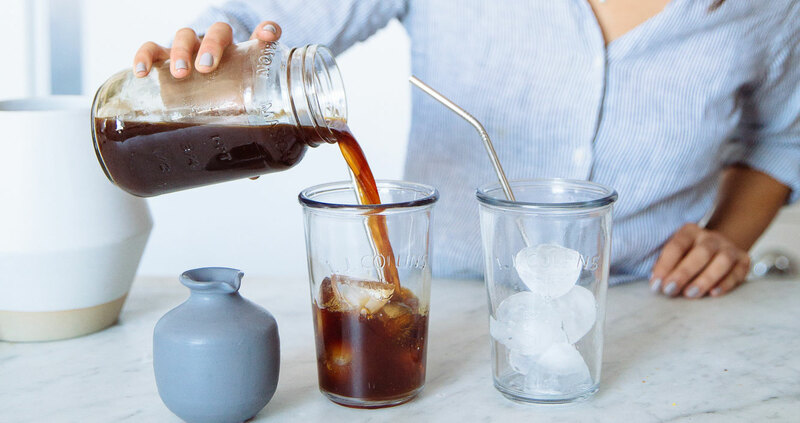 can keep us off caffeine—which is why we’re suddenly shilling out exorbitant amounts of money on cold brew coffee. 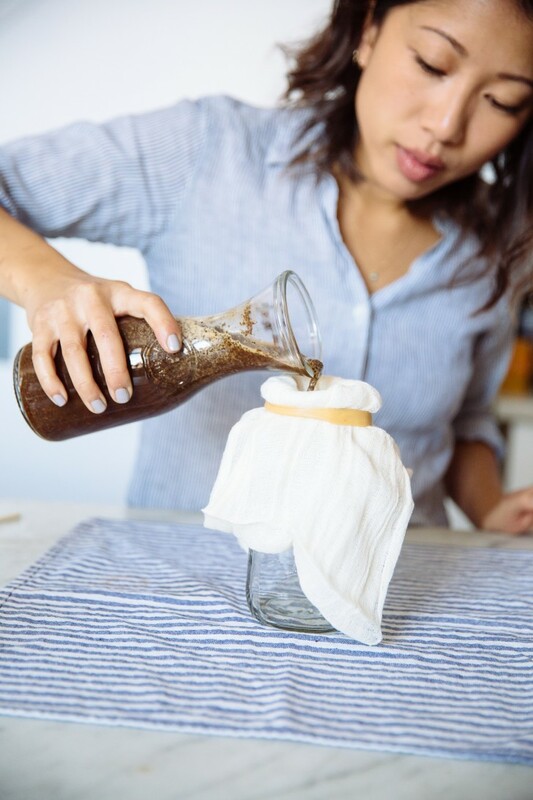 So, in an effort to save our pennies when it comes to things that we can actually DIY (promise, it’s easy), we asked Claire Chan of adorable West Village cafe, The Elk, to hook us up with a foolproof recipe that we can make at home. Stay cool, friends. 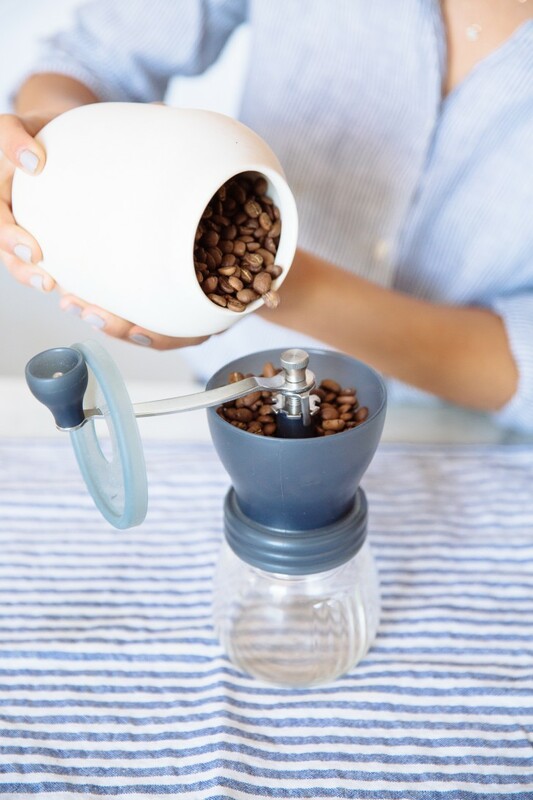 1) Grind coffee at coarse setting (if using an automatic bulk grinder, use the French press setting). 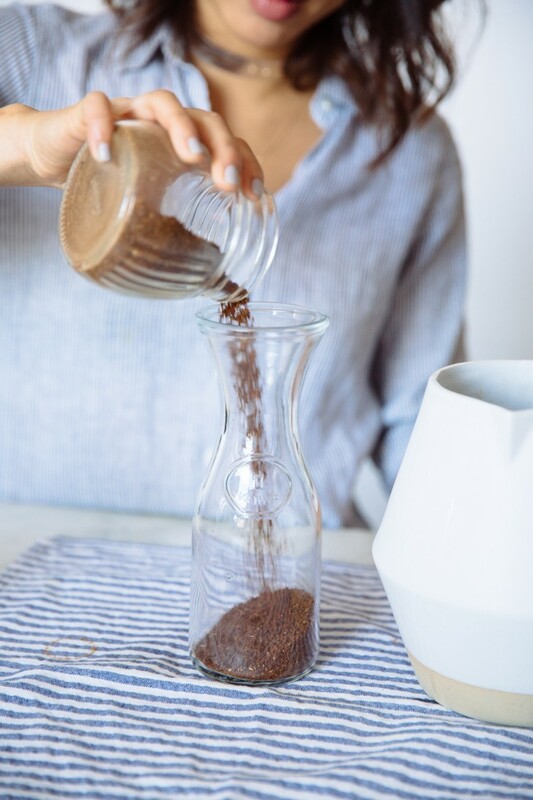 2) Pour ground coffee into your large container. 3) Gradually pour water over the coffee. If need be, gently stir it around to ensure all the grounds are soaked—there should not be any dry grounds. 4) Cover, and leave overnight in your refrigerator for 10-16 hours. 5) Cover the smaller container with layered cheesecloth, and use the elastic band to secure it around the rim of the container. 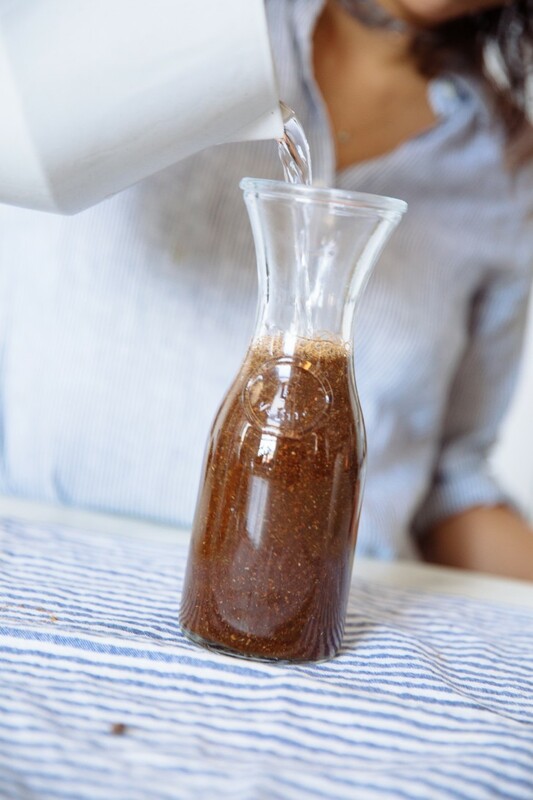 6) Pour your brewed mixture over the cheesecloth into the smaller container (the cheesecloth will act as a filter for the grounds). Let all the liquid drip down into the container before removing the cloth and discarding the grounds. 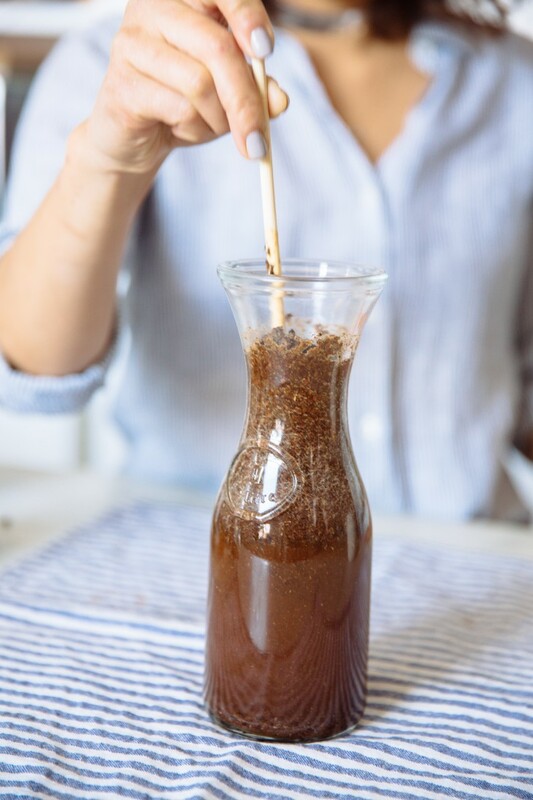 You should be left with cold brew concentrate with no grounds in it. 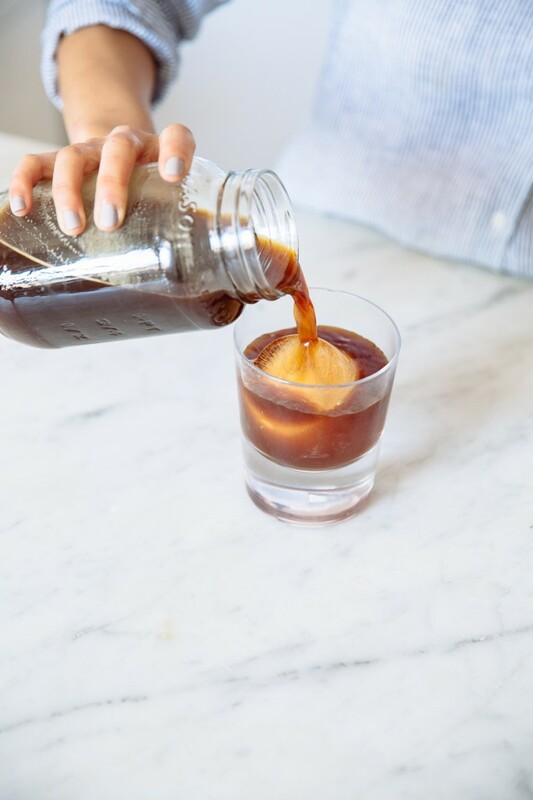 7) Enjoy over ice, using a 1:1 ratio of cold brew concentrate to either water or milk. Try it with some simple syrup or almond/soy/coconut milk, if that’s what you’re into.